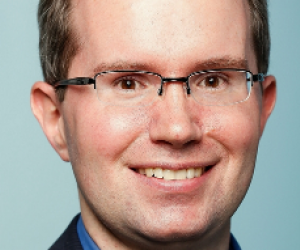 The Enterprisers Project recently caught up with Dr. David Bray, CIO of the U.S. Federal Communications Commission, to discuss his IT overhaul and physical move of 200 servers to an off-site data center. You can read more about his transformation journey here and here. Notably, the effort required the FCC team to give up its Labor Day holiday weekend and work around the clock to fix an issue with thousands of cables in order to ensure the success of “Operation Server Lift,” their shared code name for the project. Often IT leaders wonder how to inspire this kind of dedication within their teams. We asked Bray to share his thoughts on this topic. The Enterprisers Project (TEP): Can you tell us a little bit about the role of the change agent in this specific project and the lift? Bray: This was a very daunting effort, so, for starters, it was amazing that the members of the team were willing to accept this challenge. It would have been a whole lot easier to do nothing that might be risky at all or opt to “kick the legacy can down the road” and let someone else deal with the growing problem of very old servers at FCC two or three years from now. That’s clearly how we got in the situation in the first place, by people putting off change as the technology and legacy systems got older and older. When I arrived there were 207 systems on-premise with an average age of 10 years or older. We had to do a dramatic intervention. The team involved in “Operation Server Lift” were willing to make the necessary changes and do it under tight timelines. And these were very challenging requests. We said, we want you to roll out cloud-based email to everyone at the FCC, and do it in half the time that it’s ever been done before. And, you have the specs of 300 servers – 100 that need to be retired before the move – and 400 applications, average age 10 years old, and you’re going to move them in less than six months, and you’re starting the plan from scratch at the moment. Add to this the challenge that there had been nine CIOs in eight years prior to my arrival, so morale amongst the IT team was low. Top all these challenges with the request that the team of change agents operate in a high visibility, high exposure environment – public service – where any risky action is under close scrutiny. In addition to these challenges, there also was the recognition that the average employee had been at the FCC for 15 ½ years. The average contractor had been at the FCC for 19 years. This move away from hosting our systems on-premise might be threatening to some people that had been doing the same job for 15 or more years. With the move, some employees would no longer be doing patch management or some other task that we were outsourcing. By moving to a more affordable commercial model, in some respects, I was asking them to give up a job they’ve known for years. The request was really – this is your mission, should you choose to accept it. It’s not like we’re paying exorbitant salaries to people. I did offer to be the team’s “human flak jacket’” if they would rise to the occasion, be creative problem solvers, and accept this challenging mission. And luckily for me, the members of the change agent team did accept it. The team rallied with energy, and that was critical because we always knew there would be surprises along the way. TEP: What were the surprises, and how did your team react? Bray: Going in to “Operation Server Lift,’” I knew something would go wrong – it’s the nature of Murphy’s Law. That’s why we planned for contingencies. Apollo 12 got struck by lightning 30 seconds after liftoff and lost all on-board computers as it pressed into space. Yet the rocket commander chose not to abort, pressed through, and it was a highly successful mission following that event. While what we were doing was not as complicated as a rocket launch – although it’s worth noting we did have more computing power by far than a rocket launch in the 1960s – any project of this size or importance, regardless of how well planned, is going to have a surprise challenge crop up at some point. When we got to the commercial vendor and discovered that we were going to have to resolve thousands of cables to connect our servers, it could have been the moment that people just got frustrated or started pointing fingers. We were facing 55 hours of work over a holiday weekend to fix the issue. People could have gotten angry or sad or paralyzed by the overwhelming task ahead, and I would have understood completely. What I celebrate is how they didn’t. Instead it was more like, “What can we do to help? What can we do to get through this? Let’s start running replacement cables. Let’s get this done.” The biggest joy as a leader, even though it’s frustrating when you encounter surprises or delays, is when your entire team rallies and you don’t actually have to do anything about it because your team is rallying on their own. TEP: How do you motivate a team to be that motivated? Any advice you can share with other CIOs? Bray: I think the best leaders create an environment in which people feel empowered to be creative problem solvers. That helps people to get out of the box and expand from, “I do X,” to “I solve problems creatively,” which is necessary because of the nature of technology is always changing. Additionally, you’ve got to walk the walk. That means you need to work hard if you expect others to do so. There are times when I’m here (by choice) until midnight and take the last Metro home. I always tell my employees I want them to have a life outside of this, so you also have to encourage and embody that. However, if the team doesn’t see you putting in your heart and soul into the work, you shouldn’t be surprised if they don’t put their all in either. When I arrived in late 2013, my heart and soul was dedicated to helping the FCC get out of its legacy IT trap and for the entire organization to become an innovative place for IT within two years. To make that time of change would require grit and gumption not just from me, but the team of change agents together so we collectively could build a coalition of supportive stakeholders, motivate each other and other parts of FCC, identify ways to do this even with a constrained budget, recognize there may be risks because we did want to move with dispatch, and find joy in powering through any obstacle that presented itself. Openness as a leader is another essential requirement for inspiring a team. I am open to people pointing out blind spots, and I am open to being told, “That’s not a good idea.” It’s something I emphasize and encourage. I will reconsider and reevaluate based on relevant data regardless of where or who that data is coming from. People need to feel like they can actually take ownership and that decision making is not a top-down approach. I want a bottoms-up approach where the team feels empowered to identify new solutions in a creative space. TEP: How are you incorporating the ideas of openness and creative problem solving into your leadership approach? Bray: Here's an example: At FCC every Monday and Thursday we have a 20-minute stand-up – literally – meeting to go through the eight most important things we are trying to accomplish. We call them our “Boardwalk” meetings as there a big board that lists these important items for anyone to write and comment on with information. Five minutes before each meeting, the hallway with the “Boardwalk” is empty, yet by 11:30 a.m., a flash mob of more than 50-60 folks assemble and we go over how we are doing, next steps, next milestones, and any issues. If there are any issues, we collectively make decisions and fix those right then and there. Whenever we hit 20 minutes, at 11:50 a.m. on the dot, we stop – forcing us to work efficiently and creatively. With the “Boardwalk” meetings, we also developed a joyful culture where, after the 20 minutes of team discussion, we started circulating thank-you gifts to recognize above-and-beyond performers from the previous week. I started the process by awarding a team member with a mug from Harvard, which is doing a case study on the FCC, and a different team member with a jacket from the Defense Advance Research Projects Agency (DARPA) Robotics Competition. Every Monday, whoever had the mug or DARPA jacket would sign it and pass it on to somebody else they wanted to give thanks to for their work that week. In addition, on Thursdays we have a dinosaur that we dress up and decorate – we call it our “Thank-o-saurus Rex.” It’s these little things, the shared rituals that we do as a community, that make all the difference in bringing the team together. As another example, three months into my arrival, I assembled the entire team to candidly discuss how they were feeling about the challenges and changes needed to address them. Even though I was standing in front for that meeting, I adopted the role of listener and paid attention to the different views, concerns, and perspectives across the team. At our first meeting, only about 15 percent were excited. Another 40 to 45 percent were cautiously optimistic. The remainder wanted to return to the status quo or the way things had been fifteen years earlier. Six months later when we repeated the exercise, and again I was standing in front but in a proactive listening mode, the sentiment across the team had grown to about 40 percent of the team on board and excited. The last time we got together, which was about four months before the server lift, it was more like 70 percent that were all in, optimistic, and hopeful. One of the team members even said it “felt like Thanksgiving” to them. Moments like that make me both humbled as a leader and joyful for the team rallying together. When building a team of creative problem solvers, there’s no one silver bullet. Success is heavily dependent on listening and responding to the different narratives you hear as a leader across an organization. Each of these narratives will be context-dependent to the different cultures present in an enterprise. Leaders need to make sure they listen, learn, and adapt. My recommendation to any leader is to begin with a culture of openness, diversity, and bottoms-up empowerment, one where it’s okay for people to come to you with their ideas and it’s okay to disagree as long as they bring data, one where different views are wanted and appreciated, and one where as a leader you’re beating the drum of collaboration. The road to transformation is always going to be challenging and will certainly include surprises, yet if you can foster a team of creative problem solvers willing to take on any challenge, as a leader you’ll then make it easier for everyone to take that transformational hill with you together.